Little, Brown and Company, 9780316469616, 304pp. 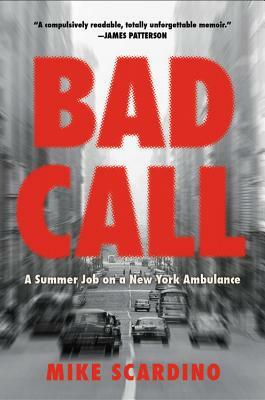 Bad Call is Mike Scardino's visceral, fast-moving, and mordantly funny account of the summers he spent working as an "ambulance attendant" on the mean streets of late-1960s New York. Action-packed, poignant, and rich with details that bring Mike's world to technicolor life, Bad Call is a gritty portrait of a bygone era as well as a bracing reminder that, though "life itself is a fatal condition," it's worth pausing to notice the moments of beauty, hope, and everyday heroism along the way. eyes of an ambulance driver who saw the city at its most vulnerable and bloody.